Evgeny Chernonog is from Magadan, a city in the Russian Far East. He was well-known there for his performances on stage, radio and television. He is a graduate of the Khabarovsk Institute of Fine Arts and Culture. For many years he served as an instructor for the Music Society of Russia, producing music history lectures for schools in Siberia. Classically trained in the traditional Russian music school system, Evgeny was mesmerized in his youth by jazz performances which he heard on the radio programs of the Voice of America. Through talent and effort, he learned to play the songs and styles of the music that moved him: Boogie-Woogie, Swing, Dixieland, Bop, Latin and Funk. “His captivating style – often energetic, sometimes deeply reflective – evokes the Russian soul and surprises listeners with fresh interpretations of familiar jazz standards,” wrote the Daily News – Miner(Fairbanks), in 1996. Evgeny first visited Alaska in 1992, as part of a cultural exchange. Evgeny and his family relocated to Anchorage in 1998, where he and his wife, Alla, are piano instructors in their private studio. Alla teaches technique and classical piano, while Evgeny introduces students to the joys of jazz and improvisation. 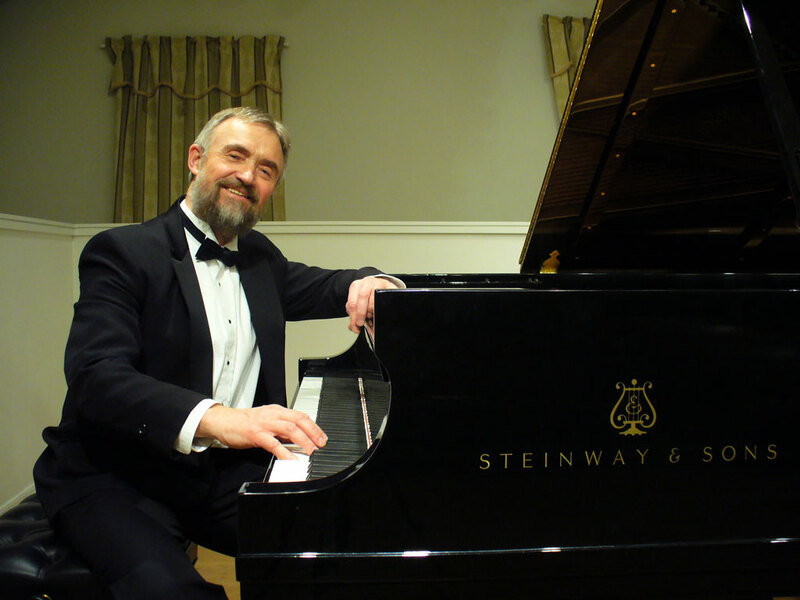 Evgeny has also been on the piano faculty of Anchorage Festival of Music’s Summer Conservatory Program, and was named a Steinway Artist in 1999. Living in Alaska gives Evgeny the opportunity to engage in his passion for fishing and being outdoors. When not behind the keyboard, you can usually find him casting for salmon, floating a river, or standing over an ice fishing hole on a quiet back-country lake; indeed, it’s likely he is the best pianist among fishermen – and the best fisherman among pianists!